WineGB supports education and training, research and development, for the long term environmental and economic sustainability of the UK wine production industry. 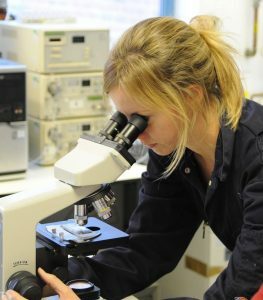 Research and development specific to grapegrowing and winemaking in the UK being carried out by NIAB-EMR (East Malling, Kent), and Plumpton College, East Sussex, in consortium with other research partners across the UK. Click here for more information about Research and Development. Plumpton College is renowned for being the UK’s centre for excellence in wine, providing education, training and research. Plumpton College has 10 hectares of vineyards producing 40,000 bottles of award-winning still and sparkling wines each year. 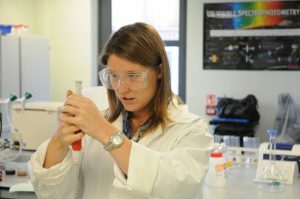 The college also has a purpose-built Wine Centre which includes a commercial winery, research winery, laboratories and a sensory evaluation room. Plumpton delivers short courses in grape growing and wine making, taken either intensively in one week, or extensively in 7 sessions over several months. The WineSkills programme is run by Plumpton College and delivers practical workshops in viticulture and oenology, and monthly masterclasses. There are also online resources. With a comprehensive schedule of training events and ongoing development of training initiatives, WineSkills is set to play a key role in the future success of the UK wine industry. WineSkills was originally set up as a training initiative supported by funding from the EU and DEFRA, and run by Plumpton College. Weekly workshops, monthly masterclasses, with professional trainers, often international experts, were delivered across the UK vineyard regions for five years (2010-2015). A mentoring scheme provided expert advice and guidance for winemaking, viticulture, business and marketing and later sustainability to UK wine producers. Members of WineGB are able to access the WineSkills mentor reports in the members’ area of the website. The WSET provides globally recognised education and qualifications in wines and spirits for professional and enthusiasts. You need certificates of competence to apply Plant Protection Products (PPP’s) with a sprayer. You must undertake training and pass the relevant Pesticide Application (PA) exams. In the UK the only body recognised for training & testing is the NPTC. 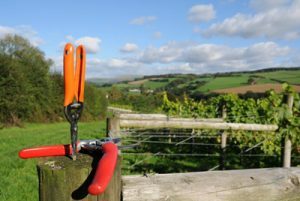 WineGB published the ‘Green Book’ each spring listing the plant protection products approved for use on vines in the UK, along with other guidance for its members.